Water Planning in the Age of Climate Change — Reinventing Green Building - Jerry yudelson, "the godfather of green"
Where is climate change heading? 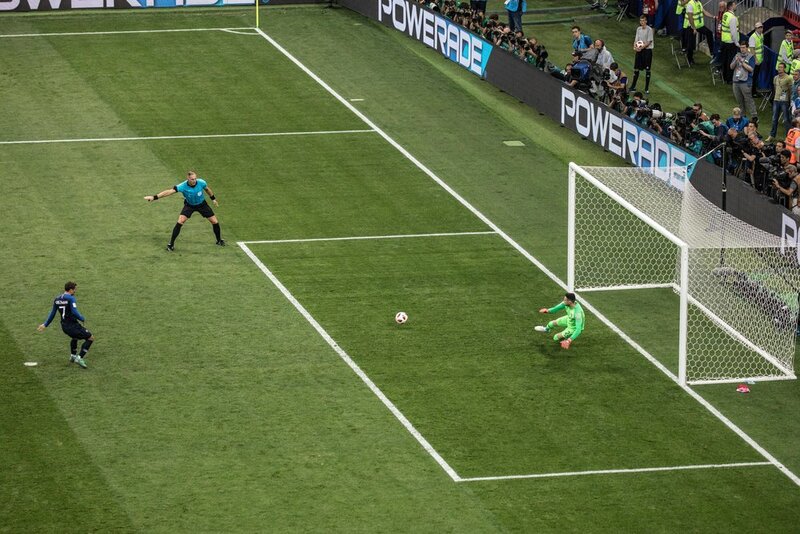 We don’t want to be like the Croatian goalie in this World Cup 2018 Final match, heading right when the French kick is going to the left? How can we plan far enough ahead to make sure our water systems will be adequate in a climate-challenged future that’s likely to be much drier in many parts of the U.S.? We already know from tree-ring studies and the history of the American Southwest that droughts in that region can last 25 to 50 years, far beyond the assumptions that guided water planning throughout the 20th century and into present times. Many historians attribute the demise of the Anasazi civilization after 1275 to the devastating effects of a long-term drought. I presented on this subject as the keynote speaker at WaterSmart Innovations 2018 in Las Vegas four weeks ago. If you want to see my presentation, take a look at the YouTube video and/or download the slides at SlideShare.net. The bottom line: planning “rationally” for major infrastructure systems may require “irrational” approaches. We have to learn to “Box Outside the Think” in big ways that are unprecedented and certainly uncomfortable for most planners.